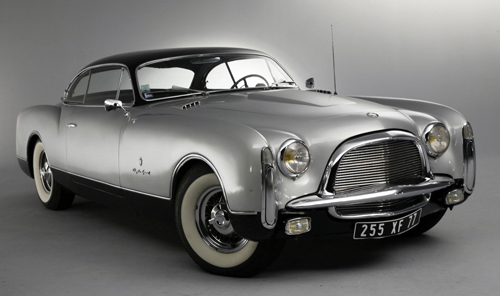 In the fifties, Chrysler had hired Virgil M. Exner Sr. to design several "Idea Cars" and they contracted Ghia to build them. One of these Exner Dreams, the "Thomas Special ", has just been added to the Coachbuilders Gallery. Exner's dream cars were all usable and running examples, based mostly on the New Yorker chassis, with "FirePower" Hemi V8 engines. The "Thomas Special" was built for C.B. Thomas, President of Chrysler's export division, and was based upon the Chrysler New Yorker chassis. 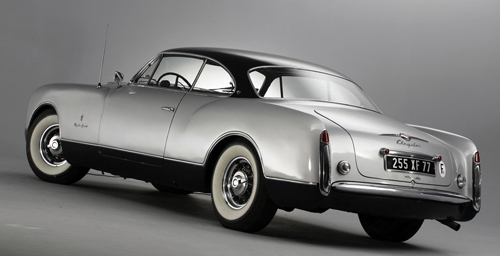 Ultimately, just six vehicles were produced for Chrysler, while Ghia built another 12 on their own account. The studio shots of the grey-black two-tone example (the first 18 pictures) in our gallery are all sized 1280x1024 pixels to fit many desktops. Each picture first opens in a width of 670 pixels and when you click on it again, it will open in 1280 pixels. Enjoy! You might have noticed that the last several weeks/months, we've been filling up our gallery with many cars courtesy of RM Auctions. This is not because they sponsor us (they don't), but just because, of all the major auction houses, RM simply has the best image library with wonderful sets of highres images and interesting information. Sponsored or not, these image sets are just too valuable not to add to our gallery. The other auction houses can learn from this!